Time to look ahead to next year and a new Stitch Along (SAL). This time there are 2 choices. You can do one or BOTH! They start the 3rd Saturday in January. The 1st is SamSarah's In My Garden. It has bright Classic Colorworks threads and is stitched on WDW 30ct Blue Jeans (or the fabric of your choice) It is 6 different charts for a 6 month SAL. If spring and flowers don't grab you, we also have a SAL for Carriage House's Halloween at Hawk Run Hollow. 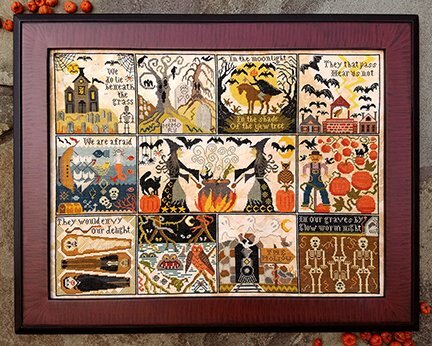 This is the newest chart in the Hawk Run Hollow family, stitched on Picture This Plus fabric, Legacy (in aida or linen), with NPI or DMC threads. This is a 12 month SAL but you will get all supplies at the 1st meeting Shannon has started this one and is loving every stitch. We need to know your choices by Dec. 28, 2017 so we can order supplies. 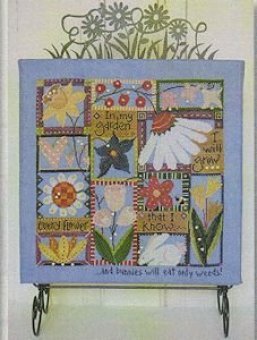 Call 501-513-1851, email thestitchersgarden@conwaycorp.net, or message the shop for more info.